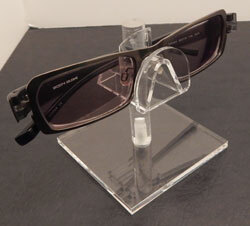 These are acrylic slatwall eyewear displays. These eyewear displays are extremely simple in design which allow them to be placed within many different design aesthetics. The acrylic materials we use in the construction of our eyewear display is of very high quality to ensure durability. We carry multiple sizes of these displays to provide you with the most choices for your specific display situation. 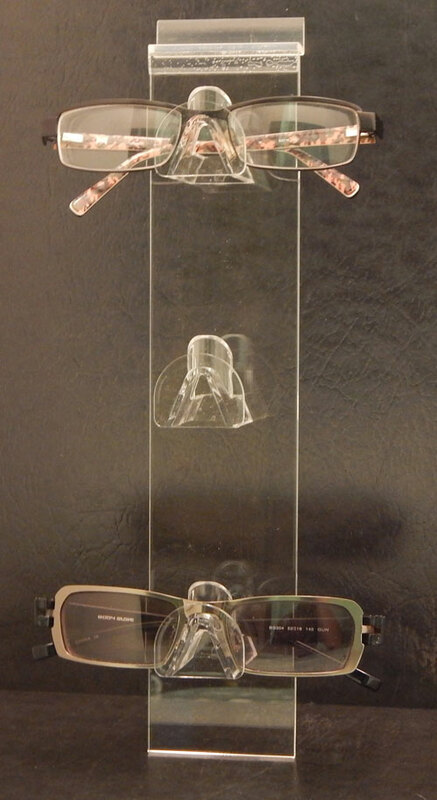 This counter top acrylic sun glass display stand holds 6 pair of glasses. It measures 16" h. Your customers will appreciate this unit, as it allows them to view multiple items at once. This counter top acrylic display stand is ideal for displaying eye wear such as eye glasses, sun glass, safety glasses, etc. It is available in 4 sizes and is a great piece to add to any display. Choose from the size options below.